Taiwan's military budget is expected to increase to more than $13.1 billion by 2027, as the self-ruled island attempts to boost its defense capabilities against Beijing. The American Institute in Taiwan (AIT), which serves as the de facto US embassy to the self-governing island, confirmed Wednesday its plans to position US Marines at its new facility ‒ something it also admitted it’s done since 2005, despite Beijing clearly stating it regards such a move as hostile. How Can Prospect of Taiwanese F-16 Procurement Affect US Trade Talks With China? Although there has so far been no official information about the intention of the US to fulfil a request from the Taiwanese Defence Ministry for the sale of 60 upgraded F-16V fighter jets, Beijing has already protested against the possible military supplies. Sputnik has asked a military analyst and a researcher to comment on the situation. 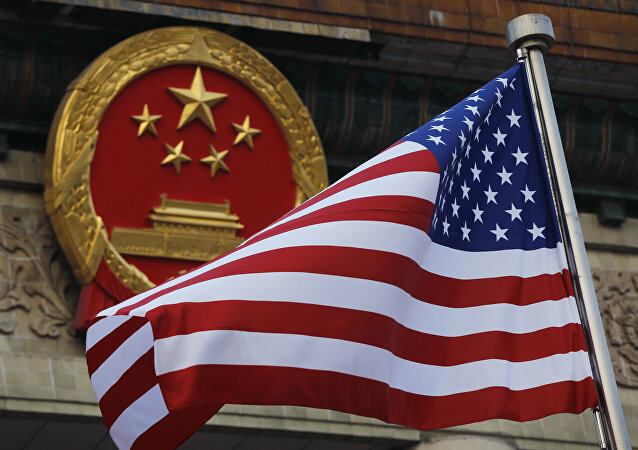 BEIJING (Sputnik) - The next round of the Chinese-US trade negotiations will be held in Washington on Thursday-Friday, the Chinese Ministry of Commerce said on Tuesday. 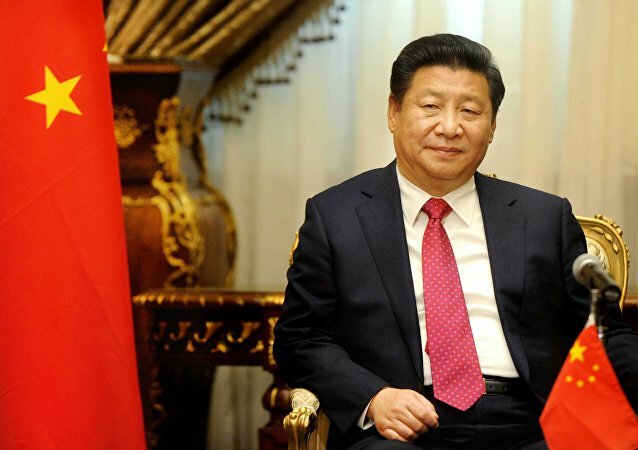 During a four-day Communist party study session in Beijing that wrapped Thursday, Chinese President Xi Jinping in a “sternly worded and very solemn” speech told top Communist Party leaders to increase their vigilance about risks that affect the nation’s stability and reforms. 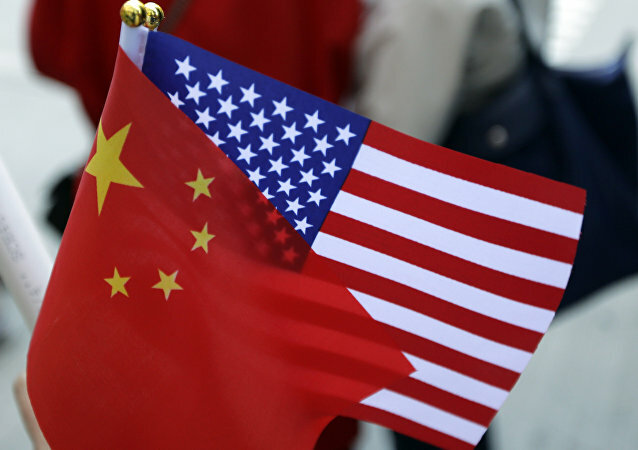 BEIJING (Sputnik) - Media reports about the cancellation of preparatory trade talks between China and the United States are false, Chinese Ministry of Commerce spokesperson Gao Feng said on Thursday. WASHINGTON (Sputnik) - US President Donald Trump said in a statement on Tuesday that the current round of trade negotiations between the United States and China is going "very well." BEIJING (Sputnik) - Chinese Foreign Ministry spokesman Lu Kang dismissed Tuesday the allegations that Beijing sought to use strong ties with visiting North Korean leader Kim Jong-un as a trump card in the ongoing trade talks with the United States in Beijing. 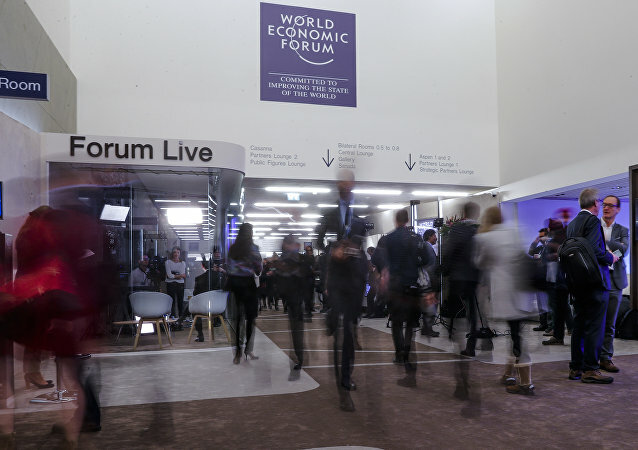 BEIJING (Sputnik) - The Chinese Foreign Ministry currently does not have any information regarding a possible meeting between US President Donald Trump and Wang Qishan, the Chinese vice president on the sidelines of WEF, Chinese Foreign Ministry spokesman Lu Kang said on Monday. The Dow Jones Industrial Average plummeted 660 points at the market’s close on Thursday following Apple CEO Tim Cook’s announcement in a Wednesday letter to investors that an “economic deceleration” in China caused a decreased revenue outlook for the company’s first fiscal quarter of 2019. WASHINGTON (Sputnik) - China's reported plans to reduce tariffs on American auto imports could be helpful in the ongoing trade dispute between the United States and the Asian country, US Commerce Secretary Wilbur Ross said on Wednesday. BUENOS AIRES (Sputnik) - The G20 may become the platform where China and the United States could manage to overcome trade disputes, if this does not happen, recession in the global economy may begin as early as in 2019, Kirill Dmitriev, the head of the Russian Direct Investment Fund (RDIF) told Sputnik on Friday. BUENOS AIRES (Sputnik) – Chinese leader Xi Jinping landed in Buenos Aires where he will participate in the G20 summit and hold a bilateral meeting with US President Donald Trump amid a major trade spat between the two countries. Donald Trump told in an interview with the Wall Street Journal that he is likely to place additional tariffs on products imported from China. Sputnik discussed this with Professor Kerry Brown, the director of the Lau China Institute at King’s College London and an Associate of the Asia Pacific Programme at Chatham House. 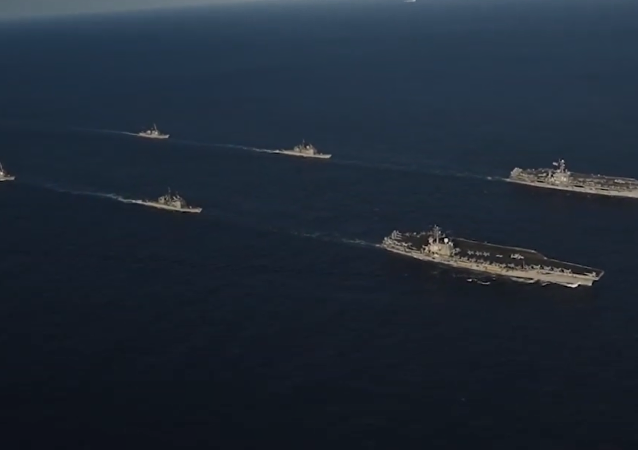 Two US Navy aircraft carriers, the Ronald Reagan and John C. Stennis, recently conducted dual carrier ops in the Philippine Sea, not far from the South China Sea, where tensions and tempers have been steadily rising between the US and China. US Vice President Mike Pence claimed that the South China Sea does not belong to any one nation. Radio Sputnik discussed Pence's statement with Jay Batongbacal, an associate professor at the University of the Philippines College of Law and Director of the Institute for Maritime Affairs & Law of the Sea, University of the Philippines in Quezon. Hong Kong markets have surged over three percent amid a potential trade deal between China and the US. The news comes after reports emerged that President Donald Trump had asked his administration to start drafting a trade deal with Beijing. US-China relations have been in a downward spiral since President Donald Trump started a trade war between the two countries. 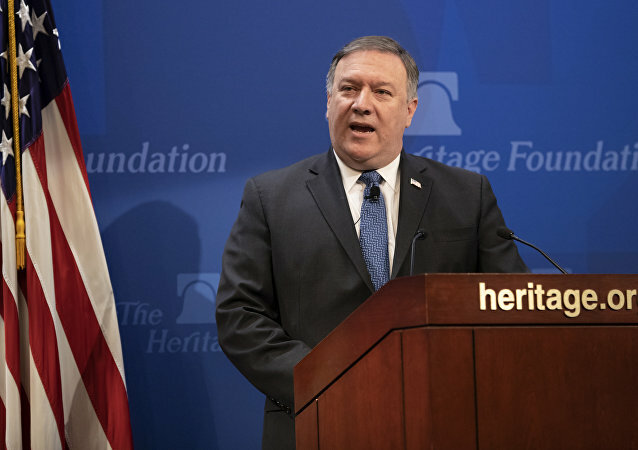 Apart from the trade dispute, Washington and Beijing disagree on an array of issues, such as the territorial dispute in the South China Sea, alleged intellectual property theft, and the Belt and Road initiative. US President Donald Trump fired another salvo in his trade war with China Monday evening, placing tariffs on "approximately $200 billion" worth of Chinese products set to enter the US market. BEIJING (Sputnik) - The United States' claims that China has been impacting Washington's talks with Pyongyang on the denuclearization of the Korean Peninsula are irresponsible and contradict the facts, Chinese Foreign Affairs Ministry spokesman, Lu Kang, said in a statement on Saturday.